Atlas Copco is a worldwide manufacturer of drilling, haulage, concrete equipment, compaction devices, air tools and motors, and yes, the Atlas Copco compressors. Their air compressor lines include centrifugal compressors, high pressure compressors, reciprocating and rotary screw in lubed and non-lubricated design, and a broad range of tow-behind portable air compressors. They have been around a while! The Atlas Copco we know today was founded in 1873. Their origins are, I believe, in Stockholm Sweden. This URL: http://www.atlascopco.com will take you to the main gateway page for Atlas Copco, and you can then search for specifics about Atlas Copco services and products in your country. I am grateful to visitors that send me technical information that I can then offer you on my pages. Click the link that suits to download the information. Do be sure to save it to your computer for future reference. 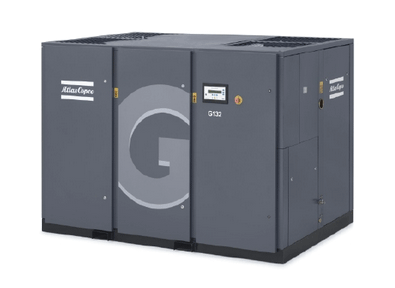 The Atlas Copco compressors page on this site provides a venue for user experiences and those with issues with Atlas Copco air compressors that may not have been able to get help from traditional sources. Post a question about your Atlas Copco air compressor at the bottoms of this page. As you scroll down, please have a look at the existing questions and answers, as many user issues have already been addressed. Please let other Atlas Copco compressor users know of your experience with this brand by answering any of the questions by adding a comment. That will help all of us.